LIVE: Manchester Ring of Red 2018- Can you spot yourself? Should you buy your teenager a motorcycle? Whilst Team France still remains the overall winners at the Red Bud MXDN, every other country saw a boost to their rankings after team Italy was disqualified. The Red Bud MXDN which took place on October 6 and 7, 2018. During the event, fuel samples from eight different motorcycles that competed had their fuel taken and tested. Whilst seven of the motorcycles passed, one, unfortunately, did not. 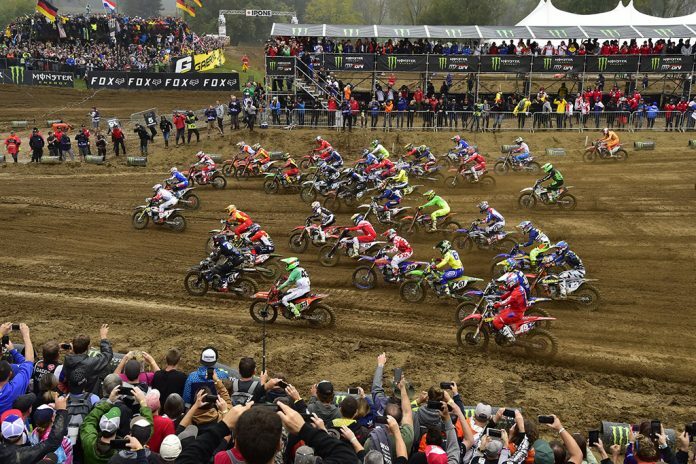 Despite taking over 4 months for the FIM to complete, the test results finally demonstrated that Italy had gone a little too far to secure their ranking. It was discovered that the motocrosser used in the competition by Italy had a severe abnormality contained within its fuel. What this means is that the fuel samples from 50 rider Michele Cervellin did not fit into the conformity with the required standards of unleaded fuel. Although FIM did not release more in-depth details into what was contained, as a result of the illegal fuel, the team was disqualified. Originally, Italy had finished second overall in the competition. However, now thanks to their disqualification, every country received a new score. France remained the overall winner, Hollan now received Italy’s second-place trophy while Australia officially finished in third place. Whilst many countries will enjoy their new ranking, having taken over 4 months to investigate, Holland and Australia were effectively deprived of their celebratory win. Nonetheless, it’s safe to say, it will deter future contestants from deviating from the rules again. Alongside her ever-growing coffee addiction, Saffron is well versed in the art of waffle and text jargon. She can often be found behind the screen of a computer grumbling about the youth of today. Ant on a Slant Motorcycle News is a UK based Motorcycle News website. We provide you with the latest breaking news and videos straight from the motorcycle industry. In addition to this, we provide information for local events, independent reviews, and information on motorcycle themed days out.